Bose has a long history of making great-yet-pricey speakers. 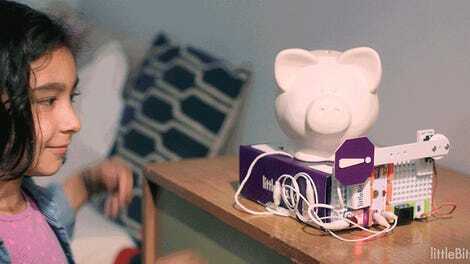 But its latest, the BoseBUILD Speaker Cube, is a first for the company—a build-your-own speaker, intended for kids. It’s designed to help teach the basic concepts of sound and speaker design. It’s a cool idea, with dead simple setup and instructions, but for $150 it could be a bit of a hard sell. My colleague Bryan Menegus and I, two 20-something dudes, spent some hands-on time with Bose’s latest audio project. Although we’re way outside the intended age range (think more 8-12 year olds), we wanted to see all the stuff BoseBUILD had to offer. It feels like the speaker is built for a specific kind of parent, one who likes to watch their child learn instead of actively participating in their education. For a parent-child projects, like Littlebits—or if you’re really gutsy, Arduino—you’ll likely need to guide your kid in some areas for them to build something functional and cool. Bose aimed for a system that a child could figure out without any guidance from a supervising adult. So sit back, crack open a beer, and be a hero parent as your kid builds their own speaker. I was able to zip through everything in about 10 minutes and the system doesn’t offer much in terms of replay value. Though...I am also an adult. For anyone outside that 8-12 target (honestly more 8 than 12), the BoseBUILD speaker simply isn’t for you. The accompanying app is super simple and hits a wide breadth of audio principles, touching on electromagnets, waveforms, speaker design, frequency, audio levels, and speaker tuning. Though it doesn’t go into any detail useful to someone outside of elementary school. But when you’re done with the project, you’re left with a decent sounding speaker from Bose. It’s not exactly something that will be replacing a UE Boom 2 anytime soon, but certainly better than any speaker in your phone, tablet, or laptop, and probably better than anything your kids have—unless you got Richie Rich chowing down on Cheerios in the next room. The BoseBUILD speaker is just a toe dip into a world of electronic education. Bose told me that depending on how successful this project is, the BoseBUILD program could expand beyond speakers. 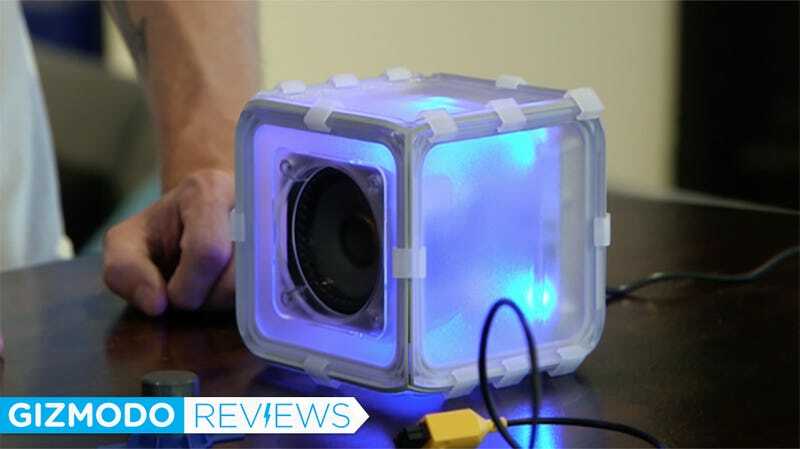 BoseBUILD Speaker Cube is a great way to teach your pre-teen about the inner workings of their audio life. Yet for adult audio enthusiasts it won’t provide anything more than a 10-minute distraction and a big glowy cube.